The birds really are not happy this year. Usually, we average about 1 chance of snow each winter. This makes a second, measurable snowfall very unusual. 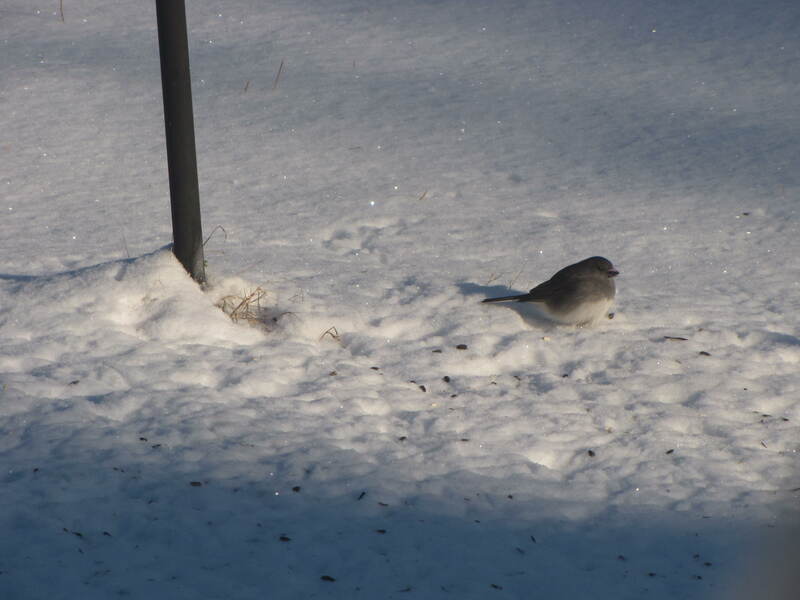 The juncos, like the male above, come only for the winter, spending their summers in Canada. In our part of middle Alabama, we get a number of birds that turn up only in winter. This year their southern vacations have been a bit frosty. We made certain the bird feeders were full and seed was scattered on the ground so at least they were not hungry. This snowfall was even more uncommon. The snow stuck to the roads (yes, there is a street in the picture); not a very good thing when the heaviest road-clearing equipment is usually a sand truck. 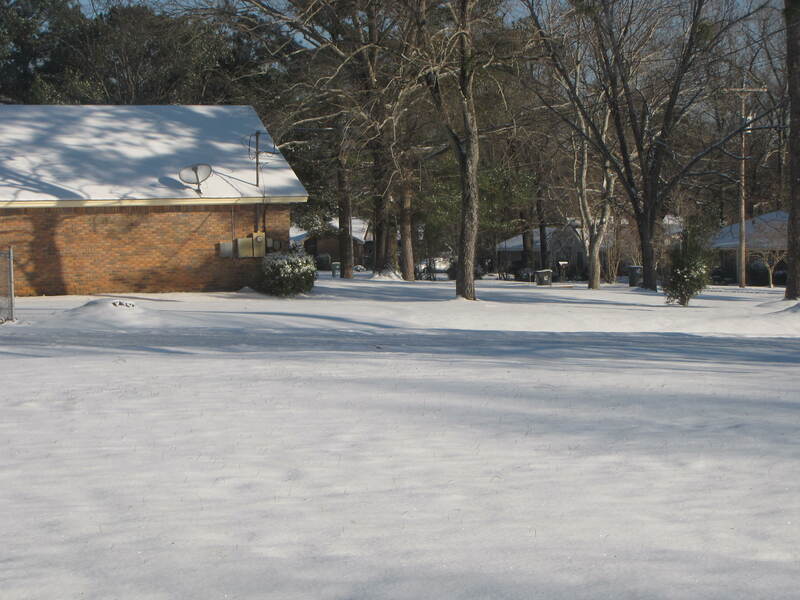 We had several days of frigid weather with temperatures in the teens. It was cold for the birds, and for the people too. We had to take precautions such as leaving cabinet doors open to make sure our pipes did not freeze. If it is very cold, we may leave a faucet dripping.